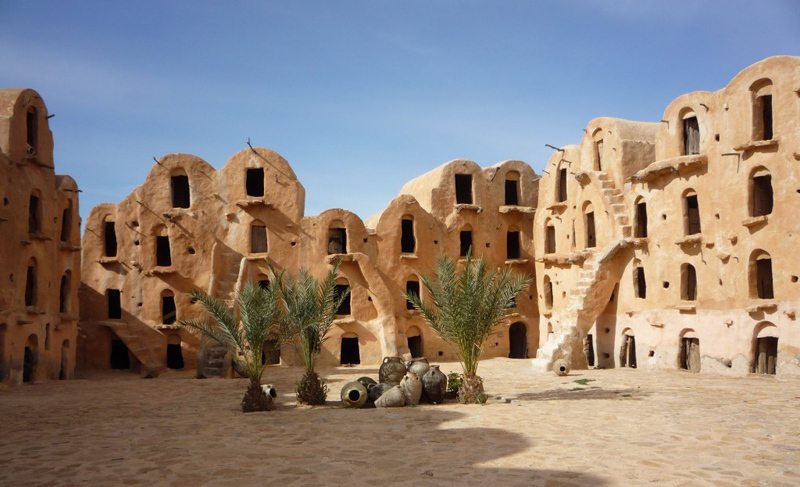 Invitation to discover the tempestuous history of the Berber civilization which knew how to keep its traditions over the centuries. 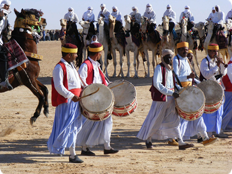 Traditional music, folklore, paintings and scenes telling the Bedouin life and the nomad, the customs, the marriages and the parade of traditional clothes, the exhibition of culinary handcrafts. Storytellers inside the wonderful Ksar Ouled Soltane. The festival allows the foreigners to approach the deep South by going to front of these happy men to make us discover their culture. 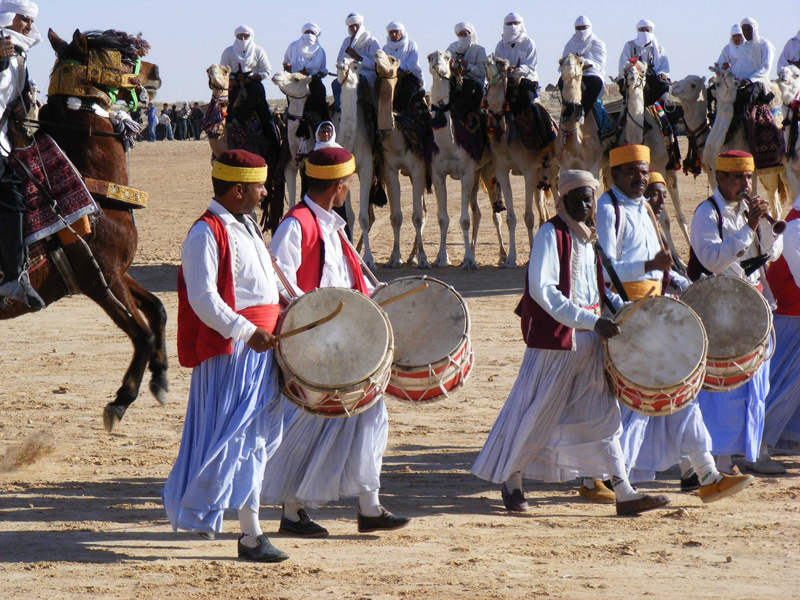 Douz typically desert village surrounded with sand dunes, keeps jealously its ancestral customs and during its festival organize races, fights of dromedaries, fantasia, hunting with sloughis (dogs of the desert), presentation of diverse paintings of the life of the nomads. 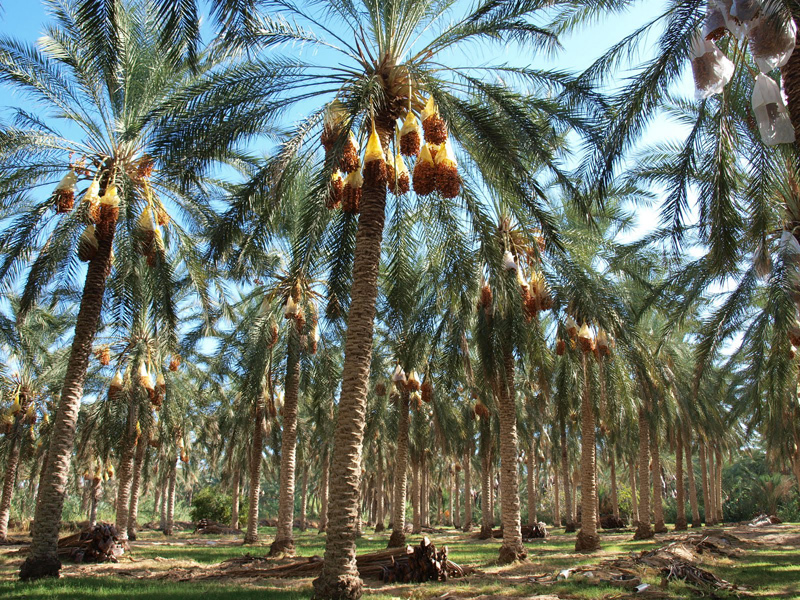 Traditional marriages with suits, musical evenings come to find us near the desert. 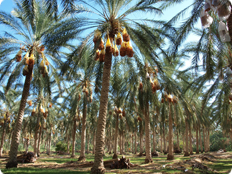 Djerid (land of palm trees) Tozeur already known at the numide time under the name of "Thusuros" ( Berber queen) redraws during this festival the lifestyle and the traditions of Djerid, the theater performances, the painting workshops, the parade of folk troops, horse-races and the demonstrations of the harvest of dates in the palm grove (the famous Deglet Nour).